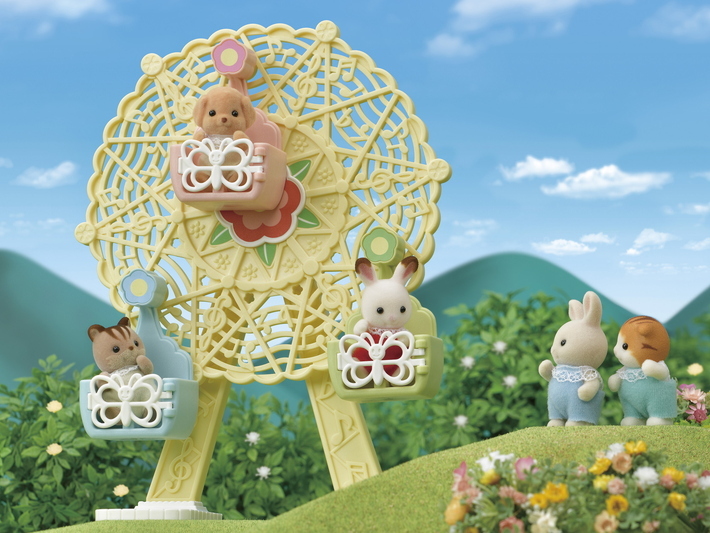 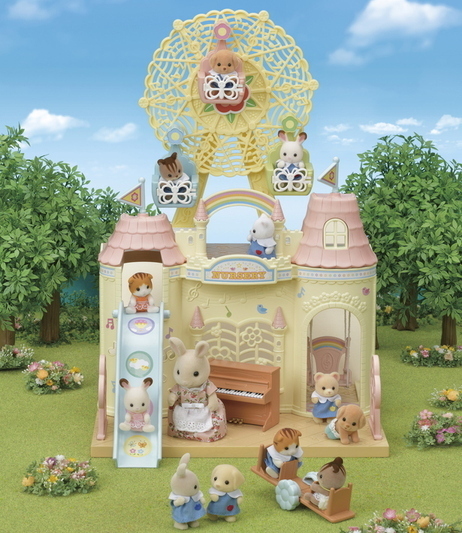 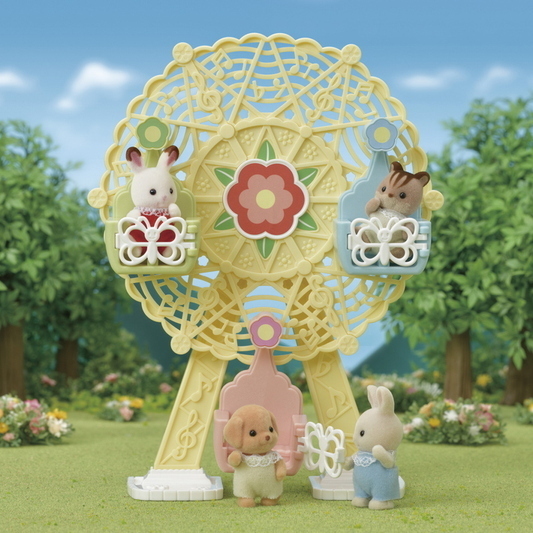 Baby Ferris Wheel's ferris wheel can be turned by holding onto the handle and turning to spin the circular base. 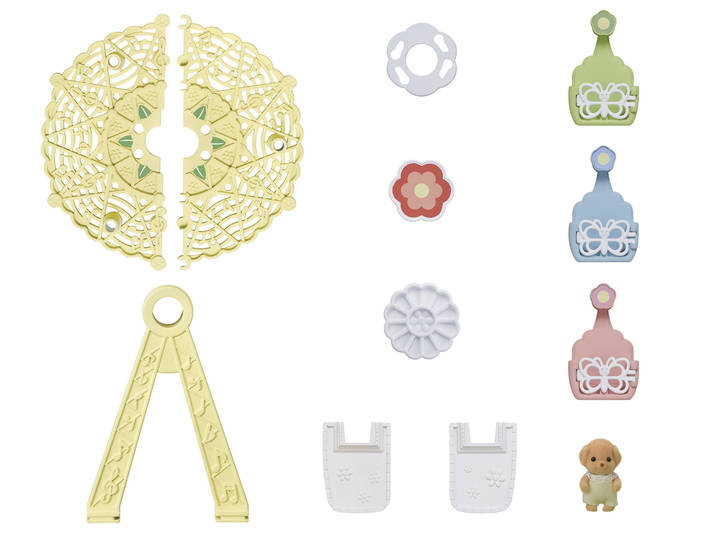 Can be placed on top of Baby Castle Nursery (sold separately). 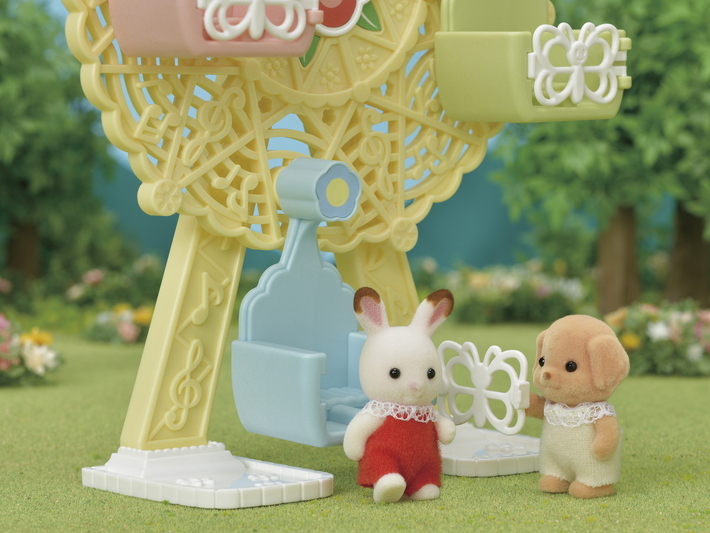 Have even more fun playing alongside Baby Airplane Ride (sold separately).